The current process for adding new users to the WSUWP Platform is slightly meticulous. While we are working on developing a smoother interface, this documentation should help. Most sites on the WSUWP Platform are restricted to WSU Network IDs (NID) only. Users can belong to multiple sites and can have a different role on each site. 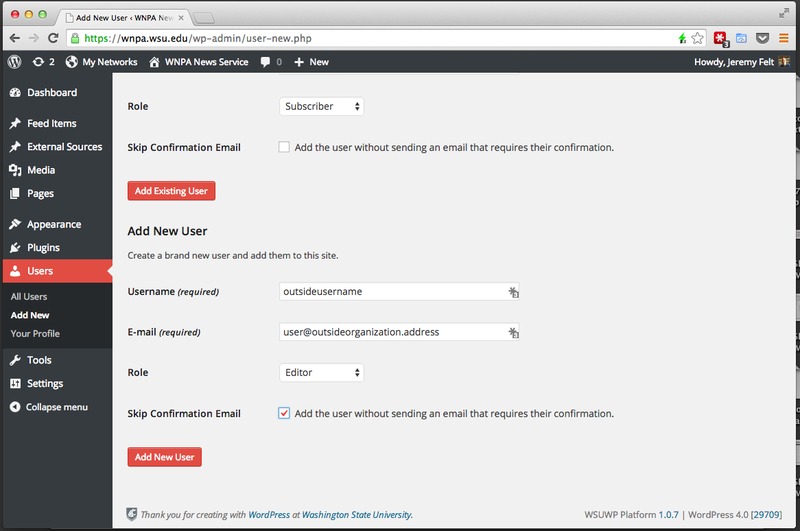 From time to time, there is a requirement to allows users outside of WSU to access the backend of a website. We are able to enable this requirement on a case by case basis. 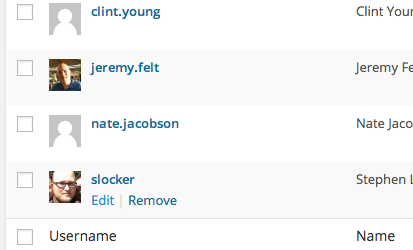 These users can be subscribers, authors, contributors, or editors. They cannot be administrators. A very strong password is also a requirement. The add new user screen provides areas for existing users of the platform or for entirely new users. To see if you are adding an existing user, start typing their username or email address. 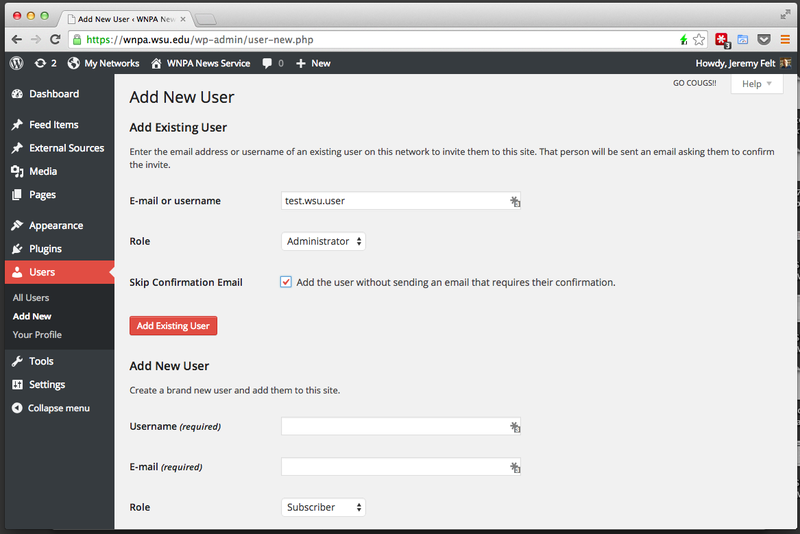 Select the desired role on this site for the existing network user and check the box to skip confirmation. New users can be added below. 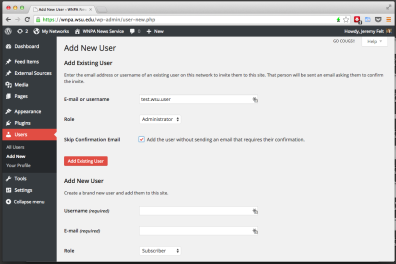 Make sure to confirm the user’s WSU Network ID if they have one. To edit a user, go to the All Users page and click edit under the specific user row. Assign a very strong password to the user. They will be able to change this upon logging in for the first time.